Christmas Tree Safety Cheklist. Merry Christmas And Happy New Year. 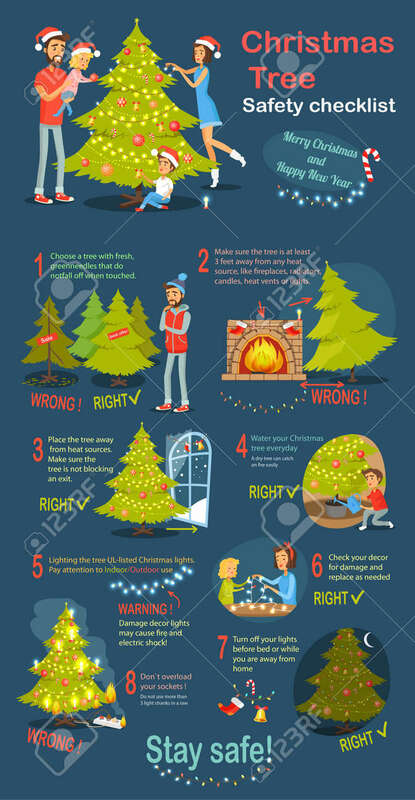 Instructions How To Deel With Xmas Tree. Practical Guide To Safety. Check Again Any Damages That May Have Occur. Vector Illustration Royalty Free Kliparty, Vektory A Ilustrace. Image 72601072.